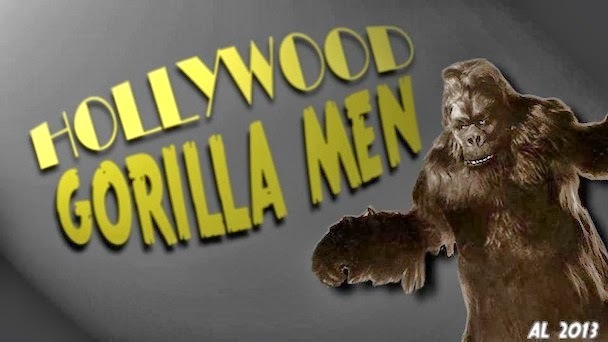 Hollywood Gorilla Men: What a Nyuk Nyuk Knuckle Head ! What a Nyuk Nyuk Knuckle Head ! 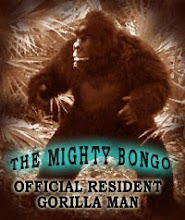 Why I outta !....Hey there Ape fans, after a too long hiatus old Bongo is back with more Monkey Madness for one and all ! 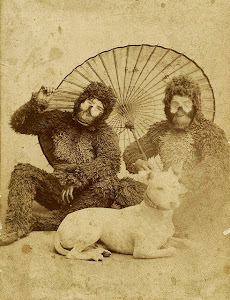 This time a gem from one of the craziest gorilla duo's ever ! On the left of the photo is the zaniest Stooge to have ever walked the Earth, none other than the great Curly Howard ! Curly's less-than-enthusiastic dance partner for the Curly Shuffle is none other then Master monster gorilla man, Ray " Crash" Corrigan! 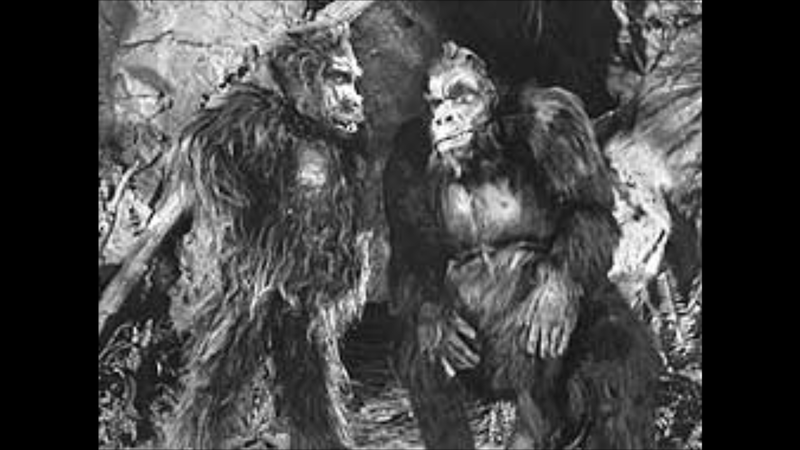 They are seen here in the great Three Stooges short, " Three Missing Links. In the film, Curley disguises himself as a gorilla to scare the boys. 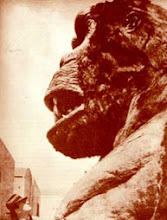 But to make things interesting the real thing" Ray Corrigan "shows up and hilarity ensues ! The suit curly is wearing is one of crashes old suits with some of the padding removed. So if you're looking for a good laugh, and we can all use one of those, watch Three Missing Links....tell 'em Bongo sent ya !